Agnieszka Jankowska, former Head of Portfolio Management Department in Poland, got promoted to the CEE Market Unit Leader as part of implementation of global agreement with Shell Poland. Agnieszka will be responsible for coordination of team tasks concerning 960 Shell properties in Poland, The Czech Republic, Slovakia, Hungary and Bulgaria. Grzegorz Szymański got promoted to Senior Portfolio Manager, taking over the management of team dedicated to Shell service in Poland. The main clients of Portfolio Management Department instead of Shell are Orbis (searching for franchise holder) and Imo (car washes). Agnieszka Jankowska has been active in the real estate market for over 9 years, including 6-year experience in management and optimization of client’s property portfolio. Agnieszka, as new Market Unit Leader, will be coordinating the processes of management in all regional countries. Moreover, continually Agnieszka is responsible for Portfolio Management Department development. 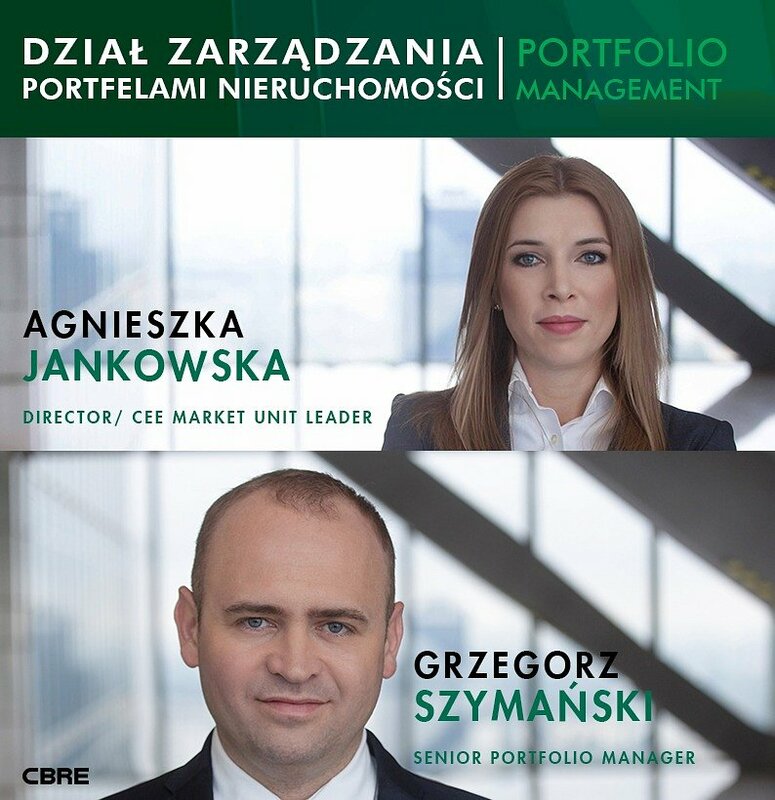 Grzegorz Szymański has dealt with real estate market for 8 years, including 3 years in CBRE Portfolio Management Department which aims at the optimization of client’s property portfolio. In the new position, Grzegorz will be responsible for implementation and monitoring of client’s one-year programmes besides of coordination of all transactions regarding client’s portfolio and looking after his businesses.